120 year old farmhouse with unspoiled country views in the North Hampshire Downs. We offer a warm welcome, delightful, well appointed en-suite rooms and a traditional farmhouse breakfast. 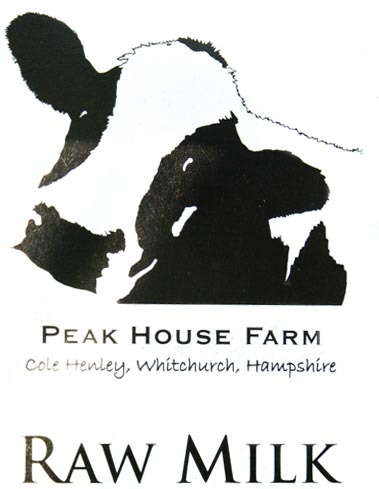 Peak House Farm is a 120 year old farmhouse with unspoiled country views in the North Hampshire Downs, an area of outstanding natural beauty. We have been successfully running our B&B business here for over 20 years. We offer a warm welcome, delightful, well appointed en-suite rooms and a traditional farmhouse breakfast. Jenny has run this successful business for more than 20 years, being a nurse and midwife previously, her Mum had also run a farm Bed and Breakfast in North Devon. She really enjoys meeting new people and providing a memorable farmhouse stay, where guests can not only enjoy a good nights sleep, wake up to the sound of birds singing and a yummy breakfast - but also watch the cows being milked, take a stroll around the farm and observe real life on a dairy farm.